I look at a LOT of C-files. A half-dozen or more each week for the last 10 years. 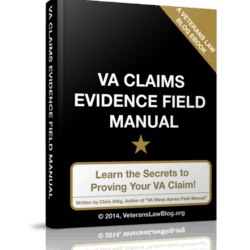 After you see this many C-Files, the common mistakes Veterans make in proving up the 4 pillars of a VA Claim just start jumping off the pages. And when it comes to Agent Orange exposure claims – whether you are claiming direct or presumptive service connection – I see a lot of common mistakes. This 20 minute video will walk you through where we used Agent Orange during the Vietnam War and how to properly prove up your entitlement to presumptive service connection for your Agent Orange related claims. On top of that I will talk to you about the proof you will need if you are not entitled to presumptive Agent Orange exposure or have a condition that is not subject to presumptive service connection.